Have these supplies always in your home, office, luggage and vehicle. Immediately swish mouth, teeth and gargle deeply for 60 seconds 1-3 times per day with mouthwash, salt water or coconut oil at the first sign of feeling bad. Do not wait for one second once you feel the first symptoms if you want to avoid getting sick. This is imperative. Swish spoonful of coconut oil in mouth they teeth for 10 minutes then spit to kill bacteria, fungus, viruses and whiten teeth and refresh and protect gums while soothing a sore throat. You may gargle coconut oil as well. It melts to liquid once put in the mouth. 2 tabs 3x per day until better and 2 days after. Take short term and only when needed. It is OK to take one or two doses preventatively when you are around people who are sick or when you feel you are run down in times of stress, lack of sleep, bad nutrition or excess sugar. Echinacea boosts your immune system. Vitamin C any form. I keep EmergenC with me because it is easy to carry, share with others, pack on trips and has added electrolytes. EmergenC cuts mucous and hydrates when added to water. It cuts phlegm, boosts energy, boosts immune system, reduces cough and gives your body something with which to fight virus instantly. It has very little sugar, 1000 mg vitamin C and comes in lots of flavors. Favorites are Cranberry/Pomegranate, Raspberry, Acai Berry and Orange. Great healing foods are coconut oil, bone broth, steamed spinach (drink the spinach steam water), chicken soup, dark green leafy vegetables like kale, Swiss chard, spinach, grapefruit (eat the white pith), goji berry, camu berry and kiwi!!! Kiwi, camu berry and grapefruit are some of the highest sources of high phytonutrient vitamin C in the world! Eat kiwi every day with the skin on! Pour mouthwash in small narrow cup/glass and soak toothbrushes in it continuously. Change liquid every 3 days to a week and wash cup. This way you don’t re-infect yourself with every toothbrush session. Clean drinking glasses every day. Change pillow cases daily. Change bedding once contagious sneezy stage over. Wipe door knobs, toilet handles and seats, refrigerator doors, sink handles with anti-bacterial wipes, hot soap and water or anti-bacterial spray made with essential oils. Open areas to fresh air and sunshine. Expose body, face, eyes to fresh air and sunshine daily. Breathe Deeply. Use air humidifiers, diffusers with medicinal essential oils or air purifiers with appropriate filters. Wash hands frequently and every time you sneeze, nose is blown. Clean contaminated surfaces such as toilet handles, light switches, phones, keyboards or door handles that are touched. Use Nasal wash bottle with distilled water in the shower or over sink when you brush your teeth, shower or are congested. This greatly reduces the viral load in your body and helps you feel better instantly. 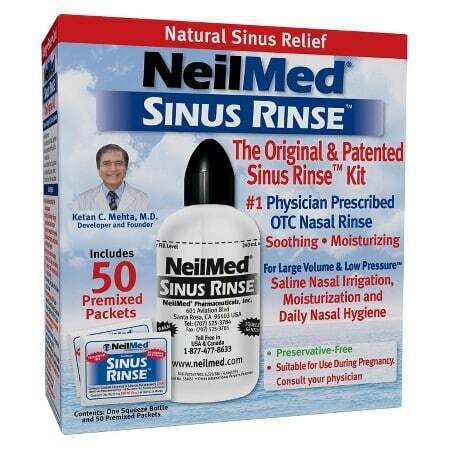 Insert bottle in one nostril and squeeze bottle gently filling sinus cavity. Tilt head so that solution runs out opposite nostril freely. Stop. Pinch nostrils and tip head back to retain solution for 10 seconds. Blow nose thoroughly. Repeat with other nostril. Shower daily or more frequently. Run warm water on your face and forehead or use hot pack to reduce sinus pressure. Learn to trigger point and flush your sinuses and face thru WholeFrog FullRange™ Body. Warm moist air improves breathing and congestion. All items can be purchased thru WholeFrog™ clinics or local drug stores. Have these supplies always in your home, office, luggage or vehicle at all times. If you get these steps in quickly you can avoid letting viruses take you down or turn into a bacterial infection. If the cold or flu gets you, your symptoms will be lessened and recovery will be quicker. 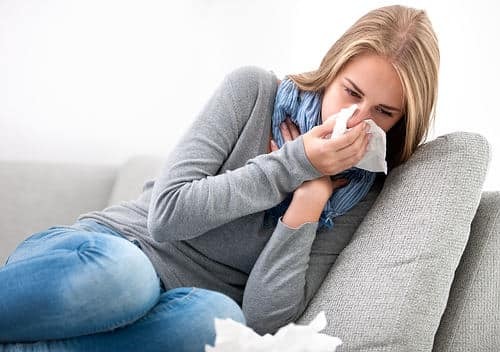 If symptoms increase or get worse, mucous becomes dark green, brown or bloody or you have difficulty breathing or have lung congestion or any other concerns, call your doctor immediately or seek medical treatment. Sleep. Trust. You are right where you belong for a reason. Ask what that reason is and enjoy the journey. Make changes in busy-ness, stress levels and choices if necessary. Take care of you. The following is not medical advice or diagnosis and should not be construed as such. Consult your physician at all times.